Take a drive along the downtown streets of most Southern cities, and you’re bound to spot beautiful brick buildings around almost every corner. But too often these architectural gems carry just a whisper of their heyday splendor. But for some of these forgotten buildings, the windows that have been dark for years are being illuminated once more. 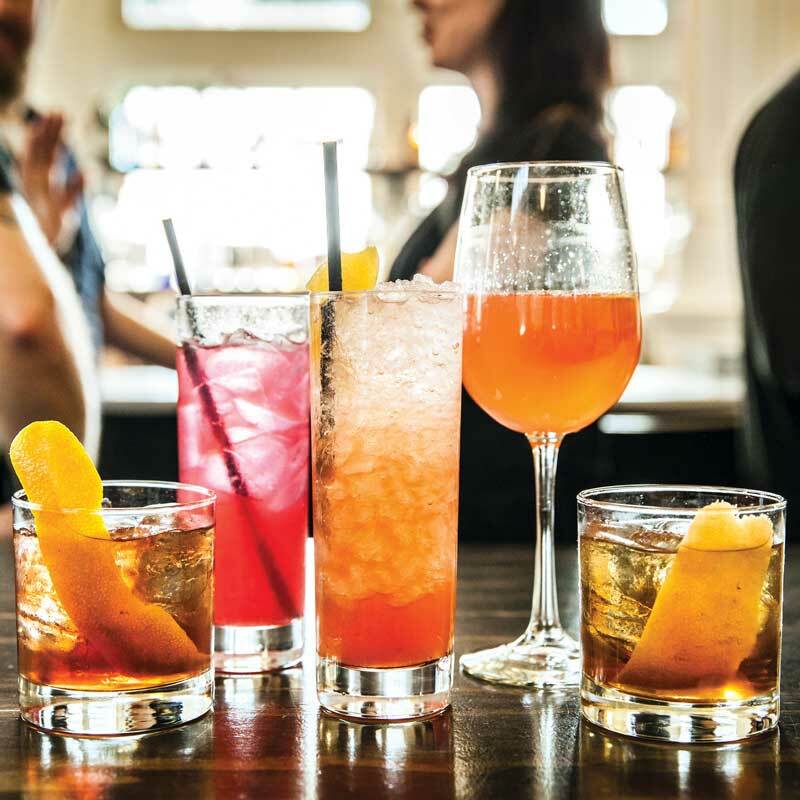 These grand buildings are being given new life, and a major driving force behind this revitalization is the South’s love of—and talent for—good food and good community. 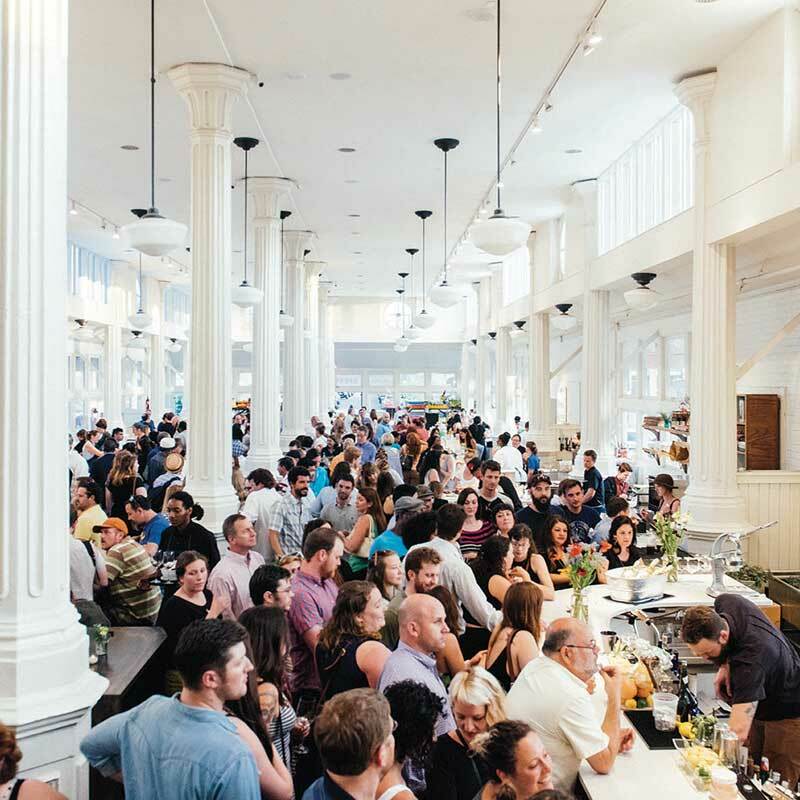 In recent years, food halls have exploded across the Southern food scene. Reminiscent of the classic mall food court, these halls feature a variety of restaurant options sharing a common dining space. But make no mistake—this isn’t food court fare. Each concept is unique and helmed by a chef, not a fast food franchisee. 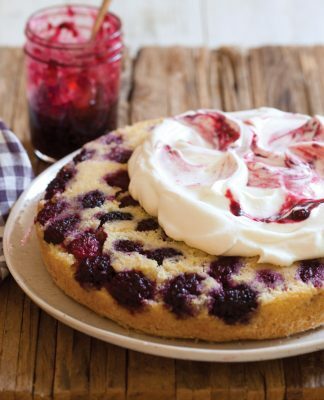 From biscuit bakers to cheese mongers and artisanal coffee roasters, these food hall vendors share an intense passion for the food they create. 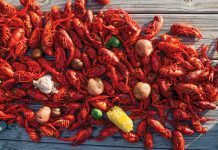 And from New Orleans’ St. Roch Market to Raleigh’s upcoming Transfer Co. Food Hall, many of these new food destinations are finding their homes in historic buildings that deserve a second chance. “The market is like an icon,” says Will Donaldson, co-founder of St. Roch Market. “It was built back in 1875 as an open-air market, and was enclosed during a renovation around the 1930s. Architecturally, it’s phenomenal. People just don’t build things like this anymore.” The food hall, which now features retro schoolhouse lights and classic columns modeled after its 1930s look, hosted a handful of businesses over the decades—at one time a Chinese restaurant and later a popular seafood market—before being damaged during Hurricane Katrina. The building sat vacant for nearly a decade before Will and fellow co-founder Barre Tanguis reopened it in 2015. Ponce City Market Central Food Hall, Atlanta, Georgia. Photo courtesy Jamestown. In cities where restaurant options seem endless, food halls offer something more than just a good meal. 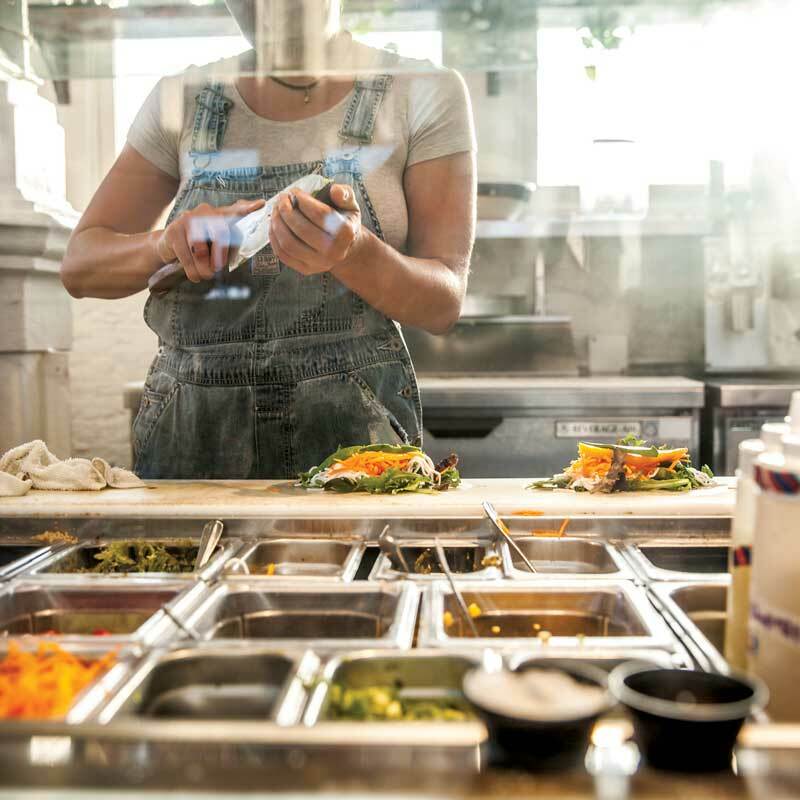 “When done right, food halls cultivate connection, something people are seeking more and more these days,” says Matt Bronfman, CEO of Jamestown, the developer behind Atlanta’s Ponce City Market. “We wanted to create a place for the community and its visitors to connect over food from some of the best chefs in the region.” As the area’s largest adaptive reuse project (originally the Sears, Roebuck & Co. warehouse and distribution center circa 1926), Ponce City Market is home to apartments, offices, shops, and a food hall offering everything from Italian-inspired cuisine to old-fashioned candy from its roughly two dozen chef-driven restaurants and food shops. 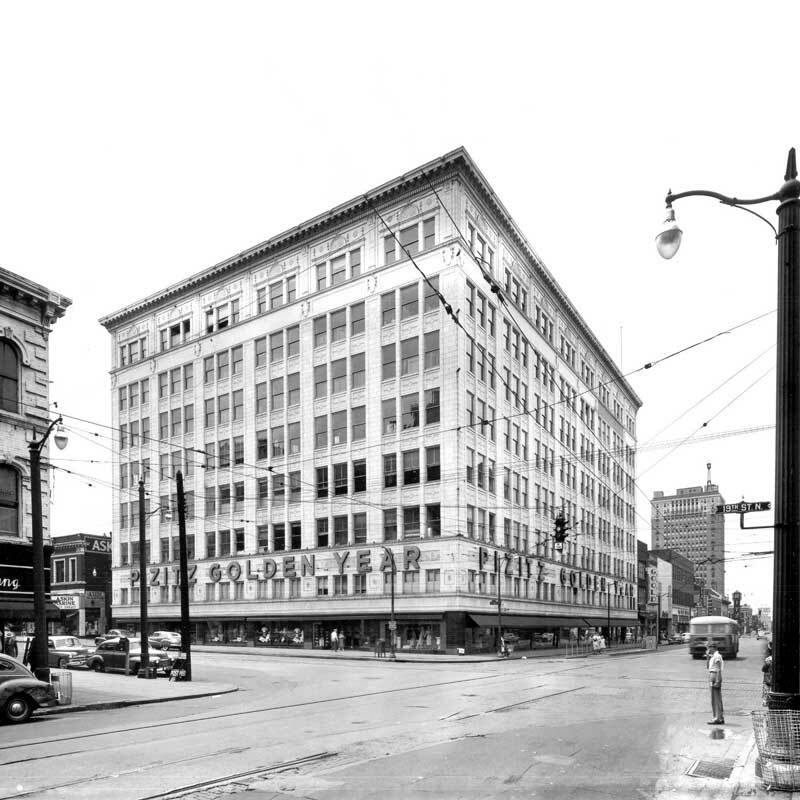 In Birmingham, Alabama, another iconic building is buzzing with new life, as well. The home of a famed department store from 1923 to 1988, The Pizitz building on the corner of 19th Street North and 2nd Avenue North has been transformed into one of the most popular spots in the city—to live and to eat. 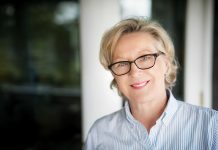 “When we acquired the Pizitz Building, we decided on creating a destination that would host several functions, from residential to working space to a food hall on the first floor,” says Jane Hoerner, Director of Marketing for Bayer Properties. 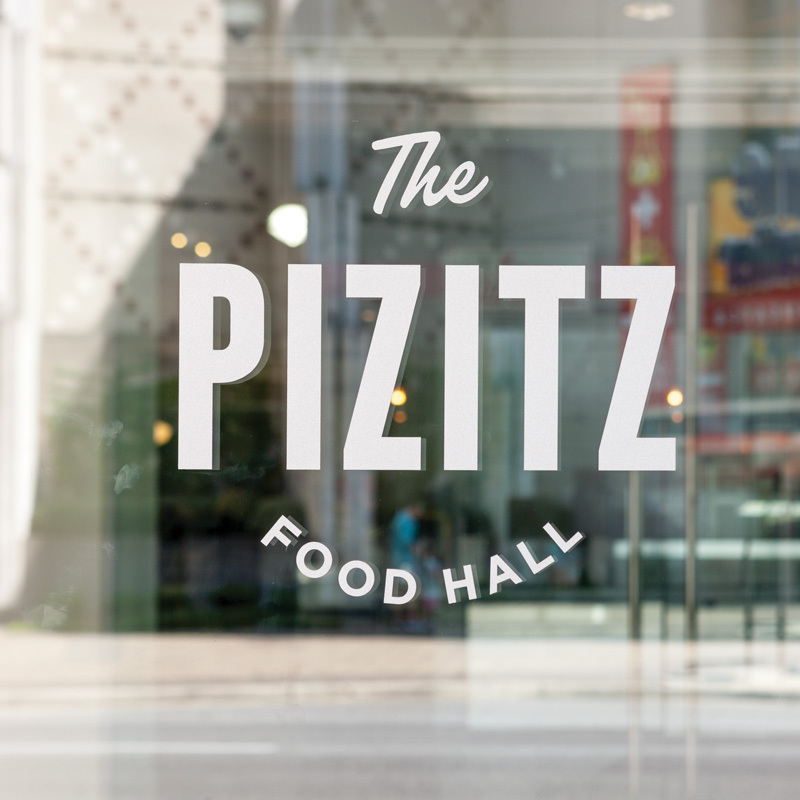 Perched in the heart of a revitalizing downtown, The Pizitz Food Hall has been bustling from breakfast to dinnertime since opening in early 2017. That sense of community pride goes beyond just the freshly revealed beauty of these restored buildings. 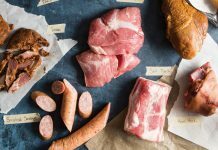 These food halls bring the flavors of the Southern melting pot to the table—and many are surprised to see the variety of cultural tastes that have been waiting to be explored. In the heart of Alabama, guests at The Pizitz are discovering new concepts like Ono Poké’s Hawaiian poké bowls and Ghion Cultural Hall’s classic Ethiopian fare. At the Central Food Hall at Ponce City Market, Atlantans get to try fresh Mediterranean cuisine at Marrakesh and authentic Japanese ramen and yakitori at Ton Ton. Nearby at Krog Street Market, a food hall built in the former Atlanta Stove Works building in the heart of Inman Park, diners can find their new favorite Middle Eastern dish at Yalla or share tapas at Bar Mercado. Down in New Orleans, St. Roch Market customers are getting a taste of Empanola’s Southernized take on savory hand pies and trying Haitian cuisine at Fritai. But just as easily as folks can come together to expand their horizons, they can also stick to their comfort zone with a perfectly cooked burger and fries at The Pizitz’s The Standard, grab a great cup of thoughtfully-sourced coffee at St. Roch’s Coast Roast Coffee, or tuck into a fried chicken biscuit from Ponce City Market’s Hop’s Chicken. A selection of drinks at St. Roch Market in New Orleans. Photo courtesy Gabrielle Milone. That’s the beauty of food halls—there’s a place for everyone and every taste at the shared table. 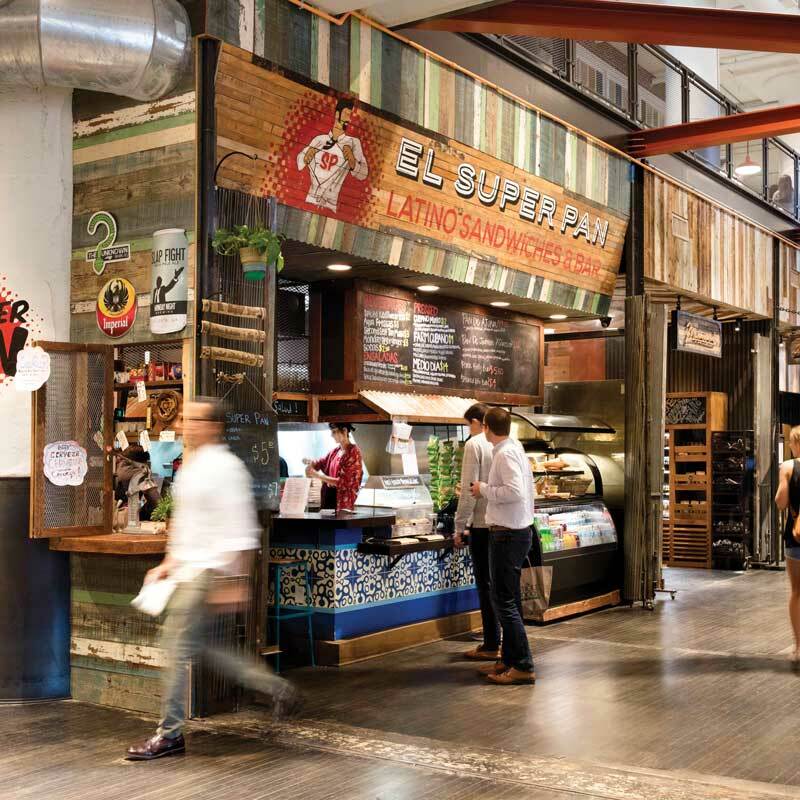 Just as they’re bringing life back to the historic buildings they call home, these food halls are bringing their communities together, one plate at a time.